•	We are essentially doing the reverse of a push up. So, grip the bar just outside shoulder width. •	Make your body a straight line from your shoulders through to hips with neutral spine. Continue this down to your ankles, with heels on the ground. •	Lift your chest towards the bar by extending through your thoracic spine and activate through your stomach- lower abs- in order to control the position of your lower (lumbar) spine and pelvis, making sure that your hips don’t drop towards the ground out of alignment. 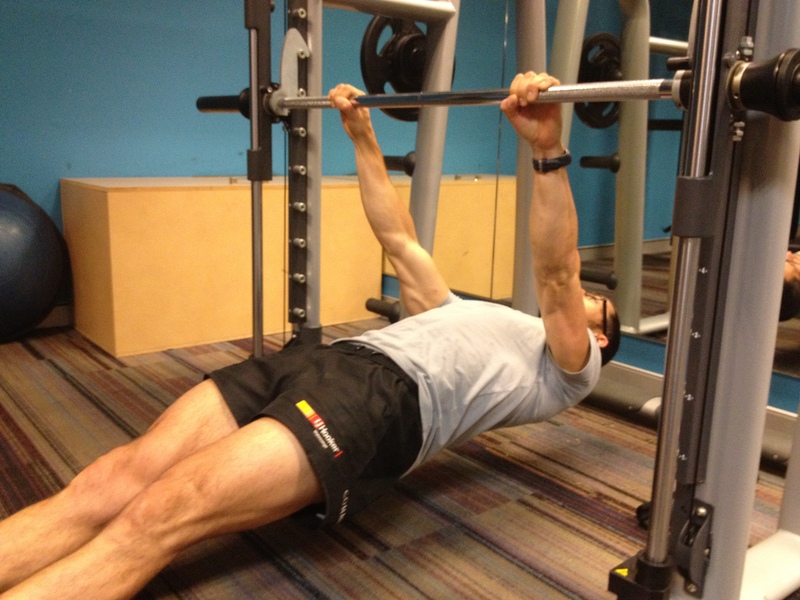 •	The bar should line up with the middle of your chest.